​Liverpool may only have one senior centre back available for the first leg of their Champions League last 16 tie against Bayern Munich after Dejan Lovren suffered another fitness setback. 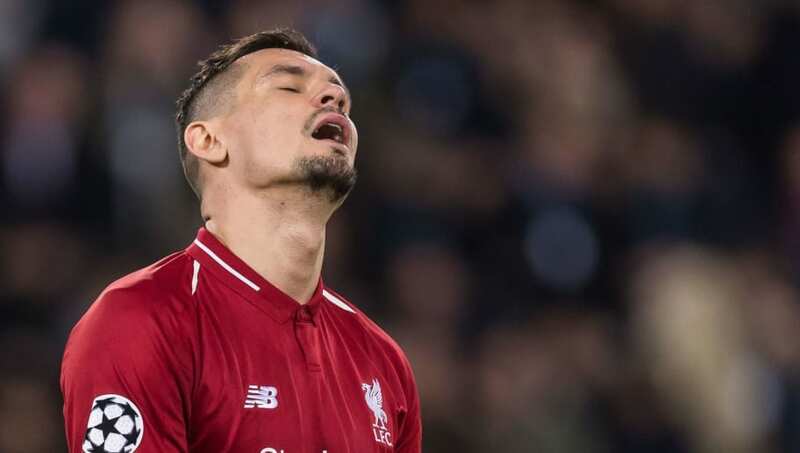 Jurgen Klopp had hoped that Lovren, who hasn't played since he was taken off in the first ten minutes of Liverpool's FA Cup defeat to Wolves on 7 January, would recover in time for next Tuesday's game at Anfield. However, that is looking less and less likely, as Lovren did not travel with the rest of the Liverpool squad to their training camp in Marbella on Monday, and Klopp's update was not optimistic. "Dejan [Lovren] is not here. That’s never a good sign, I would say, but we will try everything to make Dejan [Lovren] available for Munich. It will be a tight race," he told Liverpoolfc.com. With Joe Gomez still sidelined until March at the earliest after undergoing surgery, and Virgil van Dijk suspended after picking up three yellow cards in the group stages, Joel Matip is the only senior centre back definitely available to face Bayern. 17-year-old Ki-Jana Hoever, who was brought on for Lovren after his injury at Molineux, could be drafted in from the youth team. He is part of the 31-man squad which has travelled to Marbella. It is more likely that ​Fabinho will deputise at centre back again as he did in that FA Cup tie and against Brighton the following week. The Brazilian did not train in Marbella on Tuesday, but only as a precaution. ​James Milner and ​Georginio Wijnaldum also sat out training on Tuesday as they continue to recover from illnesses.